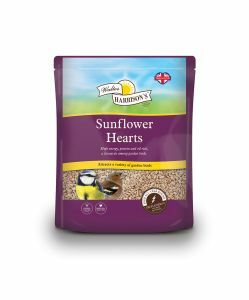 The Sunflower Seed with its seed coat or husk removed provides total nutrition from its oil richness for birds that would normally shell a Sunflower Seed. Many of our customers are telling us of the increased range of species they see after offering these or blends containing them. Suitable for Feeders, Table and Ground Feeders.